Designed by Emerson, built by Kershaw... we give you the Kershaw Emerson Designed CQC-3K Knife 6014TBLK. This knife is manual opening with sturdy framelock to secure the blade in place. 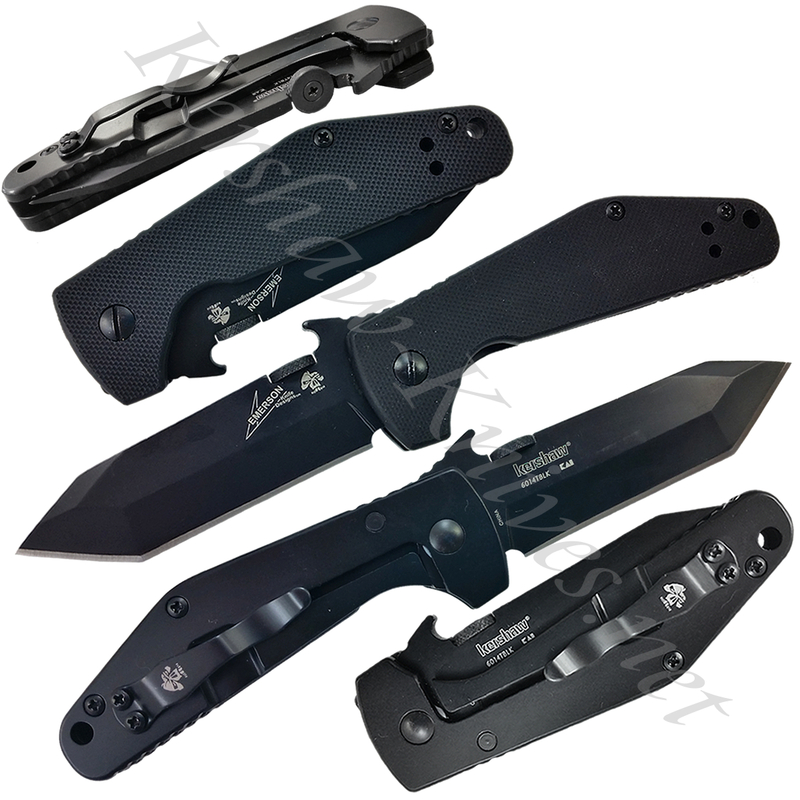 The front scale is black textured G10 and back scale is 410 with black oxide finish. The non-reflective tanto shaped blade is deployed either by use of thumbdisk or Emersons patented wave shaped feature. This is the small tab above the thumbdisk that can catch on your pocket clip seam and be completely open by the time you pull it out of your pocket! Talk about tactical!